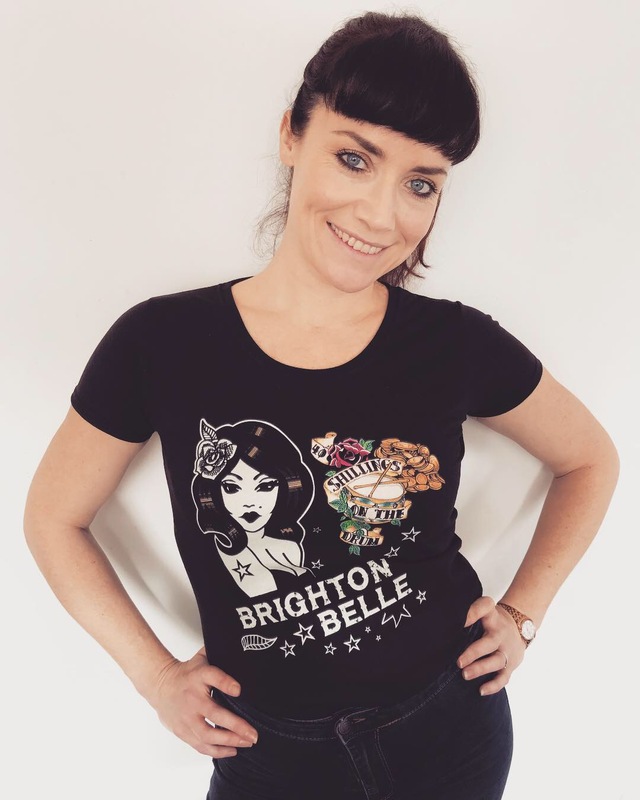 Grab a BRIGHTON BELLE t-shirt from our shop and get a free download of our debut EP, Beggars Who Believe, thrown in! and make sure you select the bundle which includes the download! Men and women t-shirts in sizes S to XXL available. Snap a selfie when you receive your T-shirt and send it to us or post and tag/hashtag 40 Shillings on the Drum and we’ll share it in our stories!